Dave is a tax partner in Sullivan's Boston office and serves on the firm's management committee. 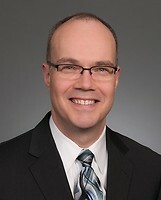 His practice involves both transactional tax planning and representing taxpayers in disputes before the Internal Revenue Service and the Massachusetts Department of Revenue. Massachusetts Society of Enrolled Agents Trump’s Tax Reform – Where Are We Now?